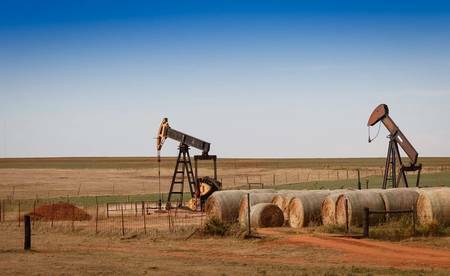 Oil prices rose on Friday after an OPEC report showed its production fell sharply last month, easing some concerns about prolonged oversupply. Brent crude was up 48 cents, or 0.78 percent, at $61.66 a barrel at 1450 GMT. Brent has risen around 2 percent this week, its third straight week of gains. U.S. West Texas Intermediate (WTI) crude futures were up 33 cents, or 0.63 percent, at $52.40 per barrel. The Organization of the Petroleum Exporting Countries along with other producers including Russia agreed last year to output cuts starting from Jan. 1 aimed at averting a glut. OPEC's monthly report showed it had made a strong start in December even before the pact went into effect, implementing the biggest month-on-month production drop in almost two years. Australia's Macquarie Group said on Friday that it expects cuts by OPEC and its allies, robust global demand and reduced growth in U.S. shale to keep the market balanced in 2019. "We see modest upside in crude but believe rallies will prove difficult to sustain as long as the market requires OPEC cuts to balance," the group said in a note. Some signs of weakening demand and surging U.S. output may keep prices in check. "Implementation of the output cut agreement agreed by the OPEC+ will remain supportive of oil prices," said Abhishek Kumar, senior energy analyst at Interfax Energy in London. He said factors such as rising U.S. production and its trade dispute with China would cap price gains, "negating much of the benefits from the OPEC+ pact". "By the middle of the year, U.S. crude output will probably be more than the capacity of either Saudi Arabia or Russia," said the IEA, which kept its estimate of oil demand growth unchanged and close to 2018 levels at 1.4 million barrels per day. Markets were also buoyed by signs that the United States and China might soon resolve their trade dispute in talks scheduled for Jan. 30. The Wall Street Journal reported on Thursday that Washington was considering lifting some or all tariffs imposed on Chinese imports. A Treasury spokesperson denied the report.